Sesame seed oil is often referred to as ‘Til ka Tel’ or Gingely Oil and it is widely used in cooking. Chefs and health experts also recommend sesame oil as a medium of cooking or frying. Sesame oil is extracted from tiny sesame seeds and is a powerhouse of antioxidants. 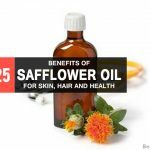 It is not only good for your health; this miracle oil can make your hair strong and your skin glow. Drizzle sesame oil in your salads or use it as body massage oil. The several benefits of sesame oil make it versatile. The cold pressed sesame oil is light yellow in colour whereas the Gingely oil used in South India is dark brown in colour (in this case the sesame seeds are roasted). In India sesame oil is used in cooking and it is popularly used as a seasoning in China, Japan (the Japanese version of Chinese Chili oil is called rāyu. It is used both for cooking and as a condiment. It is made of chopped chili peppers and sesame oil) and Korea sesame oil is used as a flavor enhancer. Your favourite Tahini sauce is also made of sesame oil. Here is a golden opportunity to rustle up some exotic stir fries using sesame oil and accompany it with delicious dips! Sesame oil also has a rich historical legacy since it was the main oil crop grown in the Indus alley Civilization. Assyrians in Persia used sesame oil as a food, medicine and as ointment. Ayurveda emphasizes on the medicinal properties of sesame oil, it was often use as an alternative medicine. Sesame oil is a polyunsaturated fat (PUFA) and is mainly composed of these fatty acids- Linoleic Acid, Oleic Acid, Palmitic Acid and Stearic Acid. It also contains vitamin E and K. The high content of antioxidants prevents the oil from turning rancid when kept exposed. Sesame oil contains omega-6 fatty acids and has high smoke points. Sesame oil contains a host of nutrients like Manganese, copper, calcium, iron, magnesium, zinc, fiber, Thiamine, Vitamin B6, Phosphorus, Tryptophan and protein. All these nutrients are needed for the proper functioning of the organs. Cooking with sesame oil not only makes your food yummy, it also brings a marked difference in your lifestyle. These health benefits of sesame oil mentioned below will surely convince you to make it a new member of your kitchen. pressure consumed sesame oil for 45 days, then their blood pressure dropped considerably. According to the report published in the ‘Journal of Medicinal Foods’ sesame oil can help in reducing blood sugar levels to a great extent. So you use sesame oil instead of refined oil and olive oil. You can also make delicious dishes with this oil, so you don’t actually have to compromise on taste while taking care of your health! 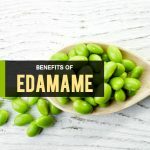 Sesame oil contains magnesium and other nutrients that improve the effectiveness of oral diabetes treating drug Glibenclamide in type 2 diabetes. Sesame oil can reduce plaque and whiten teeth. If you can do oil pulling using sesame oil daily then the harmful bacteria (Streptococcus mutants) in the mouth can’t cause cavities and gum infections. 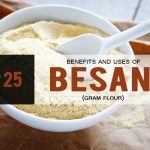 Sesame seed contains sesamol which is a powerful antioxidant and anti-inflammatory compound. Research shows that sesame contains numerous medicinal properties. It helps to cure heart disease caused due to oxidative stress and free radicals. Sesamol content in the oil can also prevent atherosclerosis (deposition of fatty material in the inner walls of the arteries). However much sunscreen we apply our bodies are still exposed to the harmful UV rays of the sun. Sesame seeds and oil helps to protect the body against DNA damage caused by the harmful ultraviolet rays. Sesame seeds and oil contain a high proportion of zinc and calcium that can increase the bone’s mineral density and prevent osteoporosis. It can also reduce the risk of hip and spine fractures caused due to mineral deficiency. Sesame seeds and oil contain a good amount of fiber that helps to maintain a healthy colon. Those suffering from chronic digestive disorders like Irritable Bowel Syndrome (IBS) and Gastro esophageal reflux disease or GERD must include sesame oil and seeds in their diet. The anti-inflammatory properties and copper content in sesame seeds and oil helps to prevent rheumatoid arthritis. Including sesame oil in the diet will help to strengthen arteries and joints and decreases pain. It is good for those suffering back ache. The magnesium in sesame oil also helps to cure and prevent spasms in the respiratory tubes. It is a great antidote against asthma and other respiratory disorders. Sesame seeds and oil was also used in ancient Ayurveda practice because of its anti-bacterial and fungal properties. It prevents and cures strep throat, athlete’s foot and Staphylococcus bacteria. Intake of sesame oil can cure blurred vision, tired and dry eyes. Take sesame oil with your regular soups, salads and stir fries to reduce depression and anxiety. Sesame oil also effectively treats painful syndromes like tendonitis and bursitis. 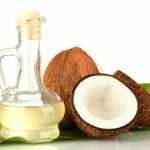 This miracle oil can also help to reduce cholesterol, banish stress and detoxify the whole body. It also cures constipation, piles, hyperlipidemia and neural tube defects. Sesame oil can also be applied topically. It gives your skin the golden glow you always desired. The high levels of antioxidants present in sesame oil makes it ideal as carrier oil for cosmetics. You can give yourself a sesame oil massage instead of using olive oil, though both are good for your skin, sesame oil releases that warm sensation when rubbed on the skin. Leave it for 15 minutes before you hit the show. Let the oil sink in and do its magic. As we all know that collagen is the building block of skin since collagen keeps the skin elastic, supple and smooth. Zinc present in sesame oil can aid in collagen production and prevents skin infections. Zinc also helps to accelerate the body’s cell repair process and thus cures burns and other severe skin conditions. Sesame oil is an excellent moisturizer and it helps to soothe dry skin. Wet your face and apply the sesame oil and leave it for 10 minutes before finally rinsing it. Sesame oil contains natural SPF even though mild it can protect the skin from sun damage caused by free radicals. Sesame oil can trap toxins so apply it before bath. If the smell is too strong then blend it with olive oil and use it. You can also blend turmeric and sesame oil and apply it before bath. Though sesame oil is thick in texture it can still penetrate your skin. You can use sesame oil to cure fungal and vaginal infections. 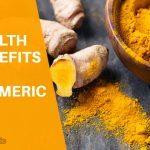 Its anti-inflammatory property is an added bonus. Sesame oil is fortified with vitamin E which is used to make anti-ageing cream. Regular application of sesame oil can protect your skin from damage caused by free radicals. Thus it prevents your skin from premature ageing. Sesame oil also helps to fight blemishes from your skin and gives you a clear and flawless complexion. If you have cracked heels and dry hands then a sesame oil massage every night before going to bed will help you solve the problem. Just rub sesame oil in the affected areas and let it sink in for a minute. Wear socks and gloves to prevent further dryness. Do it daily for a week to see the improvement, your hands and feet will feel soft and young. Use 100% pure organic sesame oil always. You can blend it with essential oils like cedar wood, rosemary, clove, lavender and thyme for a distressing aromatherapy session at home. Just blend 3 drops of essential oil to each spoon of sesame oil (well here you have to adjust the proportion). Your skin needs to take rest just like your body does; give it that deep nourishment it rightly deserves! Heat sesame oil and use it to massage your scalp and hair. Make sure the oil is not too hot. Follow it up with turban therapy. You can ditch that readymade hair dye loaded with chemicals and opt for sesame oil instead. Blend sesame oil with argan oil, coconut oil, olive oil and sweet almond oil and apply it on your hair and scalp to prevent premature greying. Sesame oil has hair darkening property and daily use can make you look evergreen always. Sesame oil can penetrate deep into the scalp and improve scalp blood circulation. This aids in promoting hair growth. It can use on chemically treated hair that is damaged beyond repair. It soothes and heals the scalp and enables hair growth. Pollution and ultraviolet rays of the sun does the maximum damage to the hair. If your job demands working under the sun for long hours then you will need a good sesame oil massage to protect your hair. 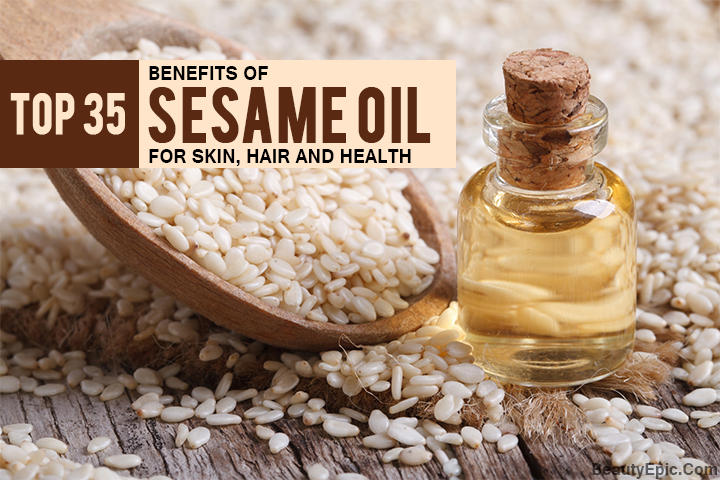 Sesame oil is a natural sunscreen and it forms a thick protective coat on your hair. It also protects the hair from the oxidative stress caused due to pollution. Sesame oil when combined with other essential oils can help to remove lice. Just apply the oil on your scalp and let it sink in. Then use a shampoo and rinse your hair thoroughly. Comb your hair to remove all the lice from your hair. The antimicrobial properties of sesame oil also protect the scalp from bacterial and fungal infections. We all love to style our hair but the excessive heat treatment makes the hair dry and rough. This is because concentrated heat damages hair follicles resulting in lifeless hair. Sesame oil can help to soothe the scalp and strengthen hair from the roots. It helps to trap moisture in your hair and makes it soft and manageable. Sesame oil can fight dandruff effectively. Massage sesame oil on your hair and leave it overnight. Divide the hair into sections and make sure that you coat your entire scalp with sesame oil. It will be best if you can use sesame oil continuously for 30 days to get rid of dandruff completely. Its soothing properties will also reduce scalp irritation and itching. Blend sesame oil with lemon juice and root juice then apply it on your scalp using circular motion. Cover the entire scalp and leave it overnight. If you want to use this oil as a conditioner then go for the hot towel therapy. The heat will allow the oil to penetrate deep into your scalp. You can also blend sesame oil with a conditioner and coat your hair with it. Leave it overnight and rinse off next morning. Rub 2-3 drops of sesame oil between your palms and run it through your hair to get instant shine. Now you have your natural leave-in conditioner at your arm’s reach. Sesame oil also helps to prevent hair fall and split ends since it strengthens the hair from the roots. It is the best hair food as it also improves the texture of your hair. Common hair woes are linked to stress often. A sesame oil massage will de-stress your hair, body and soul. Its cooling properties will rejuvenate you completely. Sesame oil can be used independently or it can be combined with other oils to increase its efficiency. Just make sure you use pure sesame oil in your kitchen and also while you are treating yourself to a spa day at home. Remember, When you have good health automatically you look more beautiful and feel at the top of the world! 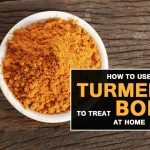 How to Use Turmeric to Treat Boils? Surela Mukherjee is a passionate blogger, a foodie and a fitness freak. She is a content writer who loves writing about beauty, lifestyle, food, health and wellness. She believes in spreading a word of good health and happiness through her writings.